When Winchester was founded in 1866, the Wild West was well underway. That’s probably why the company made the lever-action rifle that came to be known as The Gun That Won the West, and shooters everywhere are glad they did. 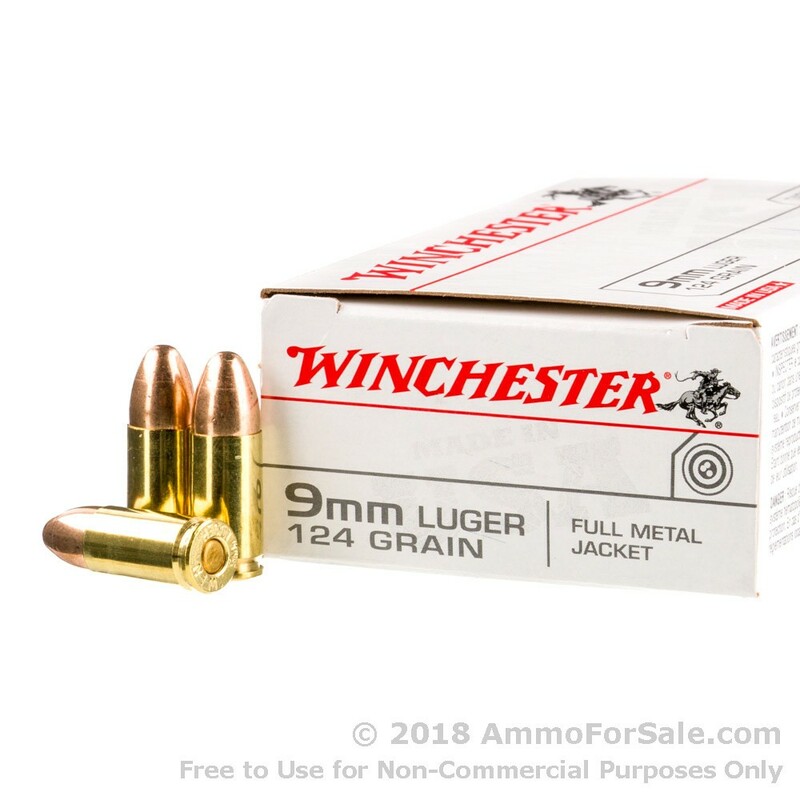 Out of those 19th-century rifles came today’s 21st-century firearms and ammunition, and shooters nationwide depend on Winchester and their 150 years of experience to keep their guns loaded with quality ammunition. Today, the Winchester name is produced by the Olin Corporation, and since Olin has been a part of Winchester almost since its inception, it’s the same legendary company generations of shooters have known and loved. These are 124 grain rounds, so they’re medium-weight, making them a nice, moderate size for training. And training is just what they’re for, because they’re FMJ rounds made for target practice, tactical training, and plinking. They’re made with virgin brass and boxer primer, so you can reload them, and they’re designed to be non-corrosive, which is easier on your gun’s barrel. 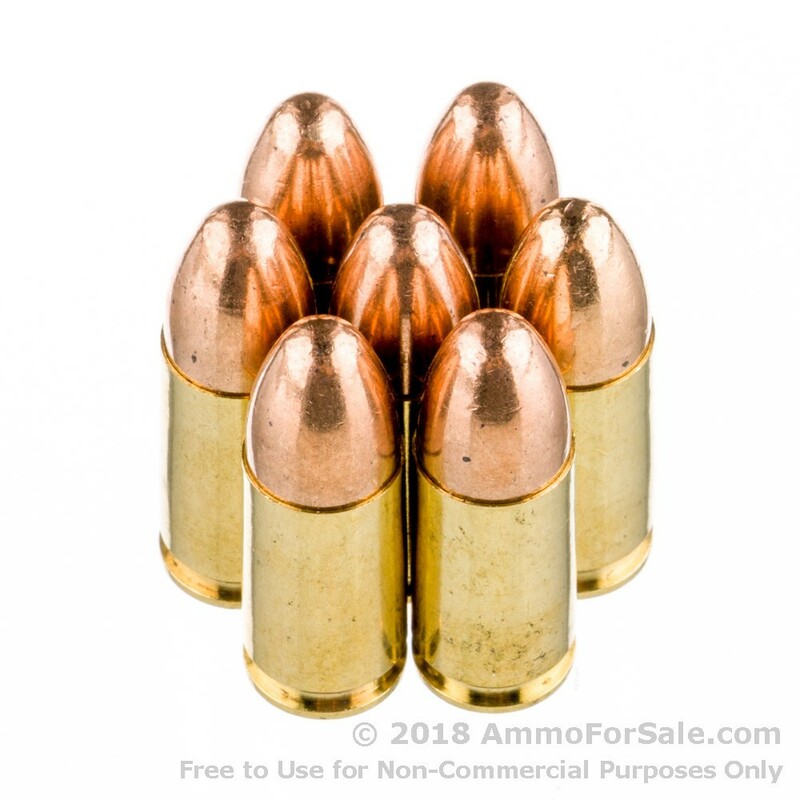 And if you’re looking for target rounds with real speed, you’ve found them, because these 9mm’s have a muzzle velocity of 1,190 feet per second. They also pack a nice punch with a muzzle velocity of 362 foot-pounds. There are 50 target rounds in this single box of ammunition. It’s a great size to stow in your range bag for training or stack in your safe for future use. Whether you spend your time at an indoor range putting holes in paper or line up pop cans and other stationary paraphernalia at a special outdoor location, your shooting time will be all the better for this quality ammunition. 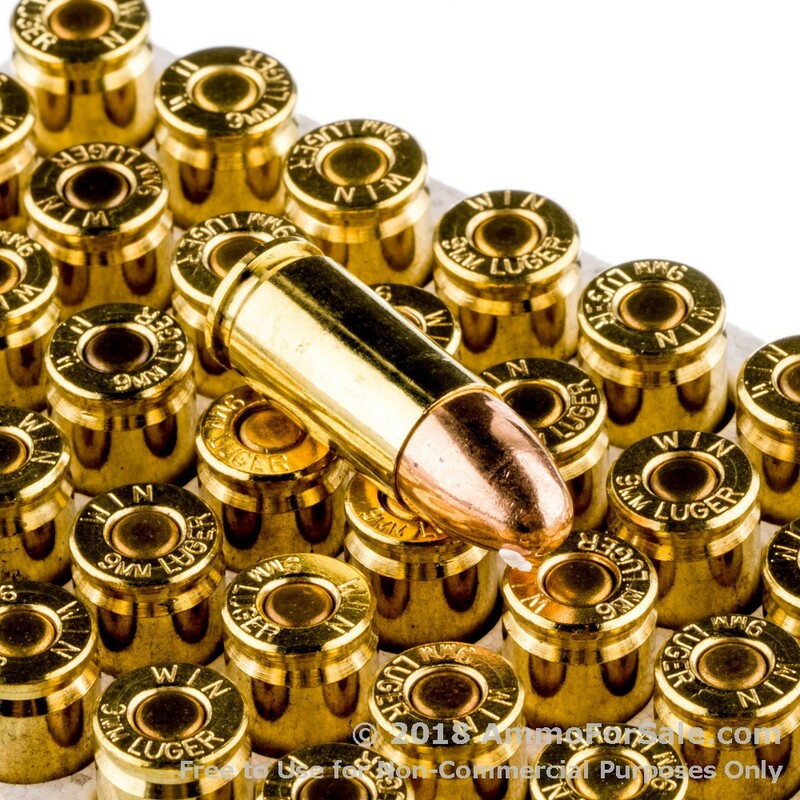 Your 9mm has a vast fan following for good reason, and if you love it, you want to keep it loaded with high-quality ammunition from an established company.